ROCK Liverpool were invited to present at the Eurocities Conference “Building Resilient Cities: from Challenges to Opportunities” along with Henk Jansen Senior Advisor Heritage, City of Utrecht, and Paola Leotard, CNR-IAS (National Research Council – Italy). The discussion and Q&A coordinated by moderator Aminda Leigh focused on the importance of cultural heritage in urban resilience strategies, including city strategies and actions to mitigate increased risks that climate change brings to built heritage (Venice Declaration) and the vital role that cultural heritage plays in uplifting citizen wellbeing and health. ROCK Liverpool presented the city governance structures that have been developed using EU funding, historical initiatives since 1999, present progress delivered directly as a result of ROCK and related projects, and how City of Liverpool recent work on the Liverpool Connectivity Plan has increased green wedges and urban green space for citizens within remodelled capital mobility schemes. Learning points such as the value of knowledge transfer between cities were discussed, as well the vital role that strategic organisations such as ICLEI, EC forums, and resilience networks play. 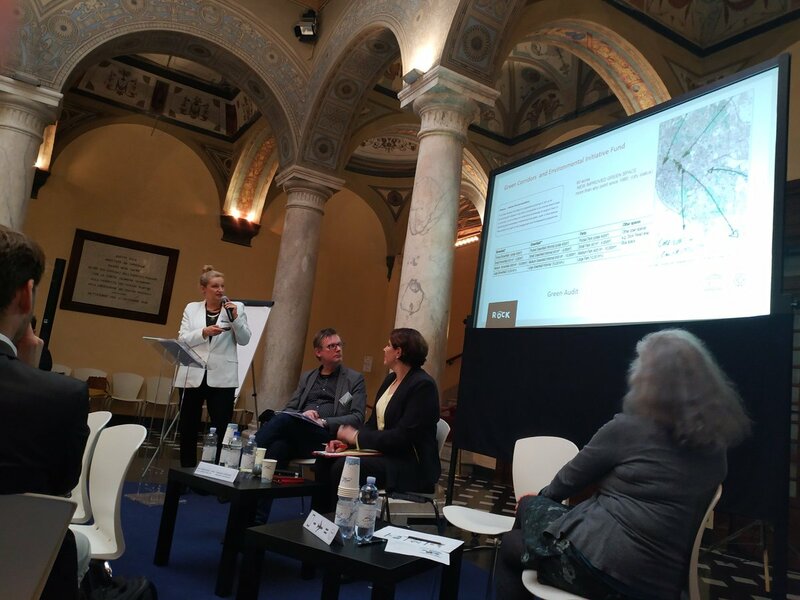 The session was followed by a presentation from Anna-Lisa Boni, Secretary General, Eurocities, on future holistic transversal approaches to resilience including the potential for co-operation and collaboration across forums.